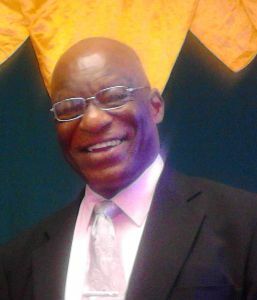 Dr Francis Alexis, Chairman of the Constitutional Review Advisory Committee has written to the recently appointed Diocesan Administrator for the Catholic Church, Father Clifton Harris, suggesting that as a fitting tribute the Church in Grenada can pay to deceased Bishop Vincent Darius is to urge the universal Catholic Church to support a certain declaration by Pope Francis on the role of women in the church. “This is, that Pope Francis would set up a commission to study the question, whether women should be deaconesses in the Catholic Church, reflecting on the many women in the New Testament who rendered outstanding service to the faith,” Alexis said in a letter of congratulation to Harris, who was appointed following the death of the decease Bishop who was buried last week Wednesday. Alexis said that Pope Francis observed, that if the Catholic Church is to continue growing, women would have to be increasingly involved in its decision-making processes at every level. One might add that the diaconate need not be the limit, with time. This is particularly so for Grenada. “These ideas of Pope Francis are very consistent with proposals advanced by the Committee, in the Constitution of Grenada (Rights and Freedoms)(Amendment) Bill 2016. This Bill, if approved at the Referendum, would insert an entire Chapter in the Constitution dedicated to promoting, as the Chapter is headed, ‘Gender Equality’. This would redound to the benefit, not only of women, but also of the entire nation,” said the letter which was sent to Harris following the burial of Darius. Dr Alexis said that it would, then, be right for your leadership of the Catholic Church in Grenada, Diocesan Administrator, to urge the faithful in Grenada to approach the Bill for gender equality in the spirit in which Pope Francis is unfolding his new vision on the role of women in the Catholic Church. At present, a number of Bills are before the Lower House of Parliament for debate as Grenada seek to review sections of its constitution. The Bills are expected to be debated in the House during the month of June, which will be followed by a referendum sometime later in the year.